This is my first book that I'm reading for Swoonuary! (For more detail check out my post here) It was exactly what I expected it to be: romantic and humorous, a typical John Green novel! The main thing I enjoyed about this book was that it was funny. It was a lighthearted novel that's a great read in time for Valentines Day if you're not looking for anything soppy or cringe-worthy. The characters were all amazing. John Green showed me a new side to teenage boys in an accurate way and I felt like I knew the characters because they were so real. I really enjoyed the ending. I think Colin's story about all the Katherines was great for closure and I found myself happy that it was involved, as I was quite intrigued to see what went wrong with those other 19 girls! I thought the footnotes were a unique touch. At first it took me a while to get used to them but as I continued reading I found myself learning new random facts and really enjoying their feature. The only thing I disliked about this book is that it was quite predictable. I could easily guess what was going to happen and, after reading all of John Green's other novels, I didn't enjoy this one as much, although it was still very good. Altogether I would definitely recommend it. It's a funny and immature story with great morals and messages, perfect for this romantic holiday! Thanks, yeah it's been a long wait but hopefully it'll be worth it! This book was rather boring and mundane. I agree with you. It was a very light and dorky read that I favored so much! OMG It was amazing. 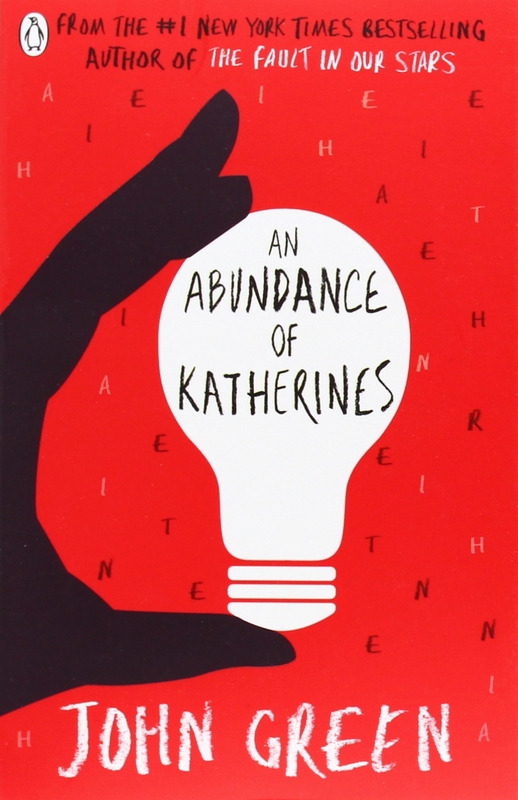 I loved the little romance and the relationship between all the Katherines and the main protagonist. This book, however, was probably the most boring John Green book I've read. I even thought The Fault In Our Stars was more dramatic than the story in this book. I hope Papertowns and Looking for Alaska is much bettter. Yeah, I read it so quickly and I really enjoyed it but when comparing it to his other novels i didn't like it as much. I have had this book for ages but have just never got round to reading it. I will have to give it a go soon though, as I have loved everything else I have read by John Green! That was my exact logic! I bought and read all his other books and I loved them so I picked this up and enjoyed it too :) I can't wait to hear what you thought! Great review! I kinda can't wait to read this book now! I actually didn't really like this book. I got loads of John Green books for Christmas two years ago and this one seems remarkably similar to lots of the other ones. I do agree that the footnotes were a cool twist and there were some genuinely funny moments. However, I actually didn't really care much about the characters. The protagonist just complained about everything even though his life seemed pretty nice and in the end I didn't really care what happened to them. Anyway, I'm glad you enjoyed it and it definitely had some good moments. I enjoyed it but not as much as his other novels, it had similar themes to Paper Towns which, I agree, made it less unique. I liked the characters but it took me a while to get into them. Personally, I thought it was good but I'm not sure if I'd pick it up again! To be honest I'm not a huge fan of John Green in general because I find his books to be pretty similar and, while I think they attempt to serious issues, they just breeze over them a lot of the time. That being said, his books are good fun and did introduce me a to a great band (Neutral Milk Hotel. I reviewed their incredible second album on my blog) so I'll always thank him for that. Ah, I'm sorry you don't like him. I think they're funny and I can relate to a lot of them. My favourite is probably Looking for Alaska but I like them all. Ah, were introduced in Will Grayson, Will Grayson? I never checked them out but do you think they'd be something I would like considering we have similar music tastes? NMH were mentioned in Will Grayson, Will Grayson and the only reason I ended up listening to them was because I wanted to see if someone would actually name a band Neutral Milk Hotel. I don't really know if you'd like them, they're an incredibly influential indie band from the late nineties but if you want to try them out listen to their second album, In The Aeroplane Over The Sea. Jeff Mangum, the frontman, has a really weird nasal voice that it may take a while to get used to but once you get past that they're pretty great. That being said, they're one of the most polarising bands out there so just bear that in mind. As I said, I reviewed In The Aeroplane Over The Sea and it's one of my favourite albums of all time, along with the likes of In Utero by Nirvana, In On The Killtaker by Fugazi, Surfer Rosa by The Pixies and a couple of others. Neutral Milk Hotel could be best described as an off-killter indie-folk band but to understand them you really just need to give them a listen. If you have Spotify all their stuff is there, if not you can find In The Aeroplane Over The Sea on YouTube. If you do decide to try them out (which I couldn't recommend highly enough) let me know what you think. Honestly, I thought John had made up the band for the purpose of the book but they actually sound really good! I quite like Indie music but by the sounds of it, it may take me a while to get used to them. I'll certainly give them a listen cause I'm always up for discovering new bands:) Thanks! If you want to listen to Fugazi DO NOT listen to In On The Killtaker first. It's their most inaccessible album and is pretty hard on the ears. I'd recommend listening to the songs Blueprint or Waiting Room first. Also, I've found another Pixies fan! Hallelujah! Thanks for the tips, I'll keep that in mind:) Yes omg Where is my mind is my favourite song<3 Idon't listen to them all the time but they're perfect when I'm in one of those moods!